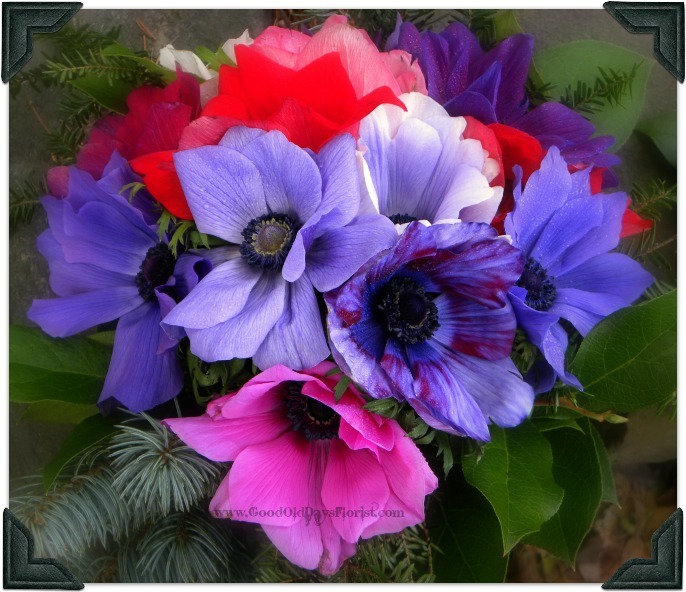 Many ask of our personal favorites and Anemones or windflowers as they were called….are in our top 3. These vibrant, black eyed, charmers have no equal. Local grown just 20 miles away where they have been growing them for decades. Cut fresh weekly, super long lasting, in assorted colors and… they tolerate our dry winter houses. We design round bouquets of 10, 20, or 30 adding a winter evergreen and/or soft ferns, lemon leaf 'collar', and ribbons.